An academic report should be in a specified format which can be different for various patterns. It is important to hand in a report in the right format and free of errors. An editor with vast knowledge about report presentation is of much help in improving your report. Academicwritersbureau.com is one of the most experienced academic reports editing services and will help you to improve the quality of editing. We perform comprehensive editing to enable you to get high grades. We present your observations in a flawless language in a clear structure that appeals to the reader. The editing process also includes careful proofreading to remove all the existing language errors in areas such as punctuation, spelling, etc. Our editor will also check clarity, sentence structure, and coherence to help in a precise conveyance of your arguments and experiences. We further refine your formatting to meet your requirements and ensuring that it is in the right structure for presenting to your professors. We have editors with experience in editing various types of academic and non-academic reports. We route your report to an editor who is a specialist in your in the subject area. At the end of the editing, you will get the error free well-formatted report ready for handing in without further attention. You fill the order details and upload your academic report. Academic Writers Bureau editors are native English speakers with a proper command of the language. They can edit a report by ESL or native speakers. They are also well- educated each possessing at least a Master’s degree. Many have doctorate degrees. The editors are from academic backgrounds which are plus as we can find an expert to edit academic report for any subject. Our editors are determined to improve all parts of a report. Apart from editing grammar errors, they also work on style, coherence, and sentence structure to clearly convey your message. The editors also have an in-depth understanding of the different academic referencing styles such as APA, Chicago, MLA, Harvard, MHRA, and OSCOLA. 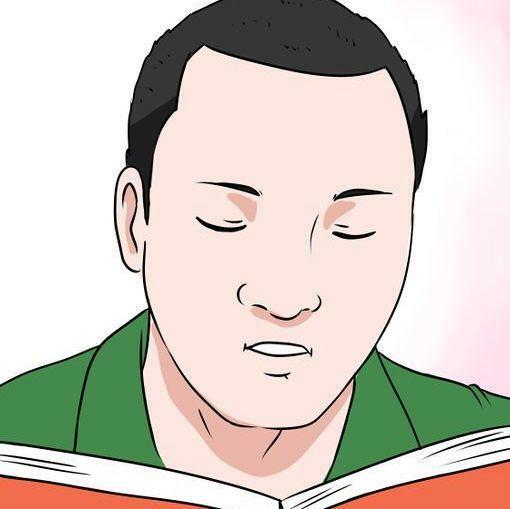 It helps them to improve accuracy and consistency of references. We do not allocate orders to anyone. 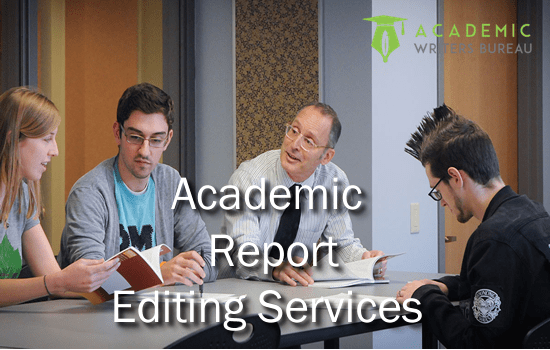 We make sure that the editing of your academic report is professional by assigning it to a language expert from the same academic filed as the subject of your document. Our academic report editors respect the integrity of ideas of our clients and the message to convey. They refrain from making heavy changes that can alter essential content. Your editor will not paraphrase or rewrite your work but will amend existing content to make it impactful and error free. Your editor will still be accessible for a moment after we deliver your order and is ready to amend any parts that may not satisfy you. We are confident about the quality of our editing service. That is why we include satisfaction and money back guarantee. Are you getting frustrations working with mediocre editors on your Academic Reports. Allow our loyal editors refine your academic reports with 100% correction free rating. What kind of academic reports do you edit? We are qualified to edit all types of reports. We have specialist editors for documents from various academic domains. How long does it take to edit my report? We use encryption technology to protect the confidentiality of your documents when you transfer data from your computer to our website. The technology also protects payment information. Good work. My editor revised my academic report and the feedback from my professor is better than I expected. I appreciate the fast and accurate editing by AWB. I will use this service again. I recommend AWB for professional editing. They significantly improved my academic report and answered all questions I had about the changes.